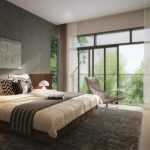 The Twin VEW condo is a new residential project rising in West Coast Vale, that launched for sale on 5 May 2018 and sold 442 homes, 85% of its units that weekend alone. 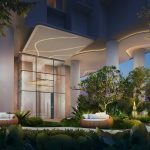 It sits in a private housing enclave on the outskirts of the Jurong Lake District, that is being developed into the 2nd CBD of Singapore. 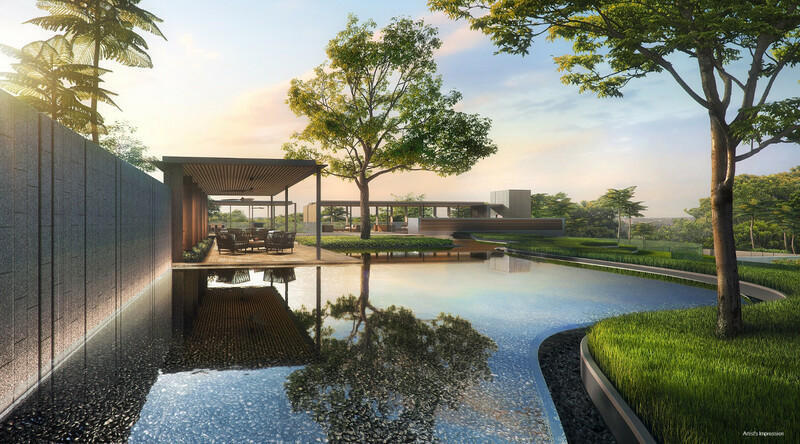 A lot of care and thought has gone into the design and architecture of Twin VEW, that draws its inspiration from the rice terraces of Asia. This is reflected in the 3 terraces of landscaping, the pools and cascading waterfalls, gardens and lawns that cover the entire site, and tiers of dining pavilions that overlook Pandan River. 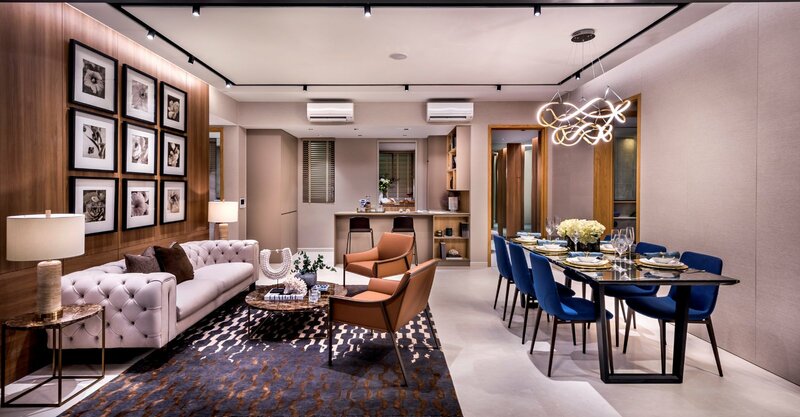 It is truly one of the most beautiful and well designed condominiums to be found – not just in its landscaping, but in its floor plan layouts as well, and quality of materials and finishes. 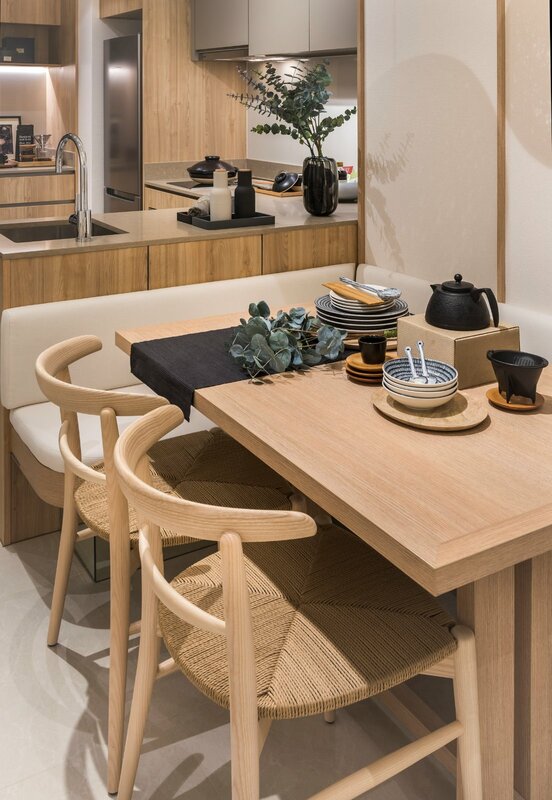 Many of the touches here are more reminiscent of higher-end condominiums. 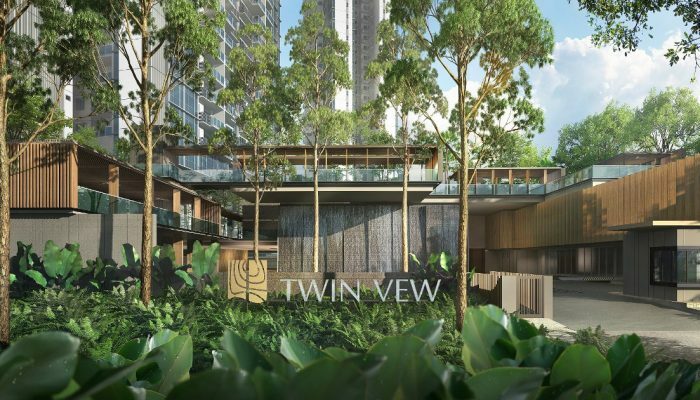 Hence the name Twin VEW: Twin to reflect the 2 towers, the 2 orientations, the North and South views. VEW as the acronym derived from V for Variety created by the cascading contours of the site, E for Earth or nature, W for Water or waterscape. 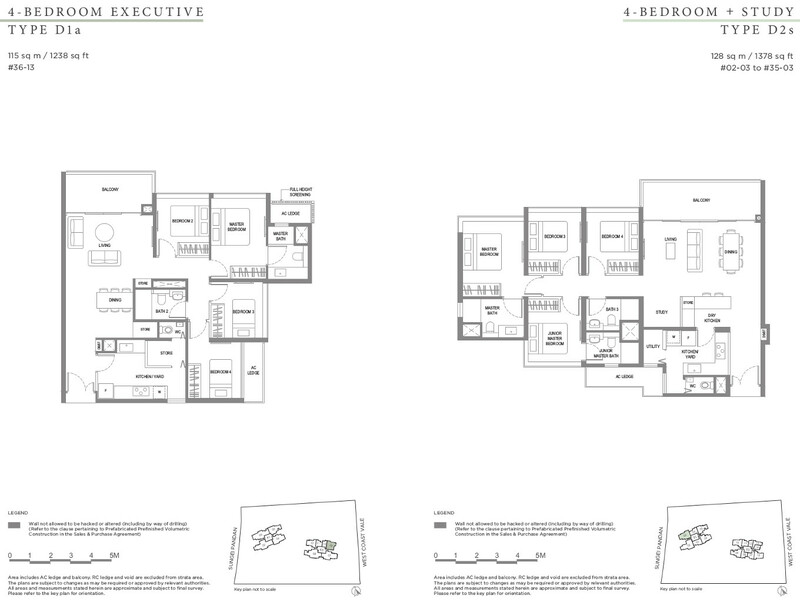 Twin VEW occupies one of the best plots of land in this location. 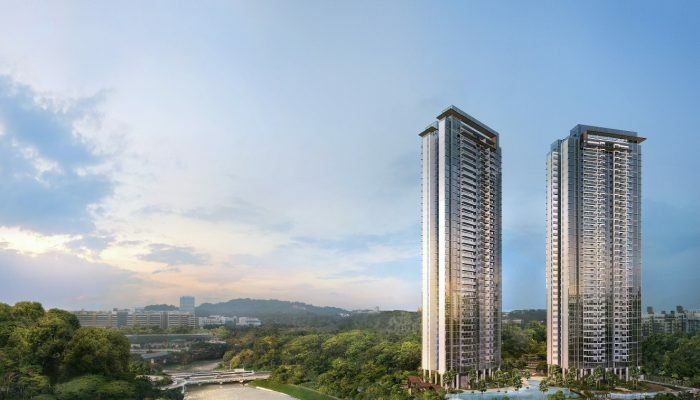 Like Parc Riviera next door that sold out recently within a year, it enjoys a Pandan River and park connector frontage on its west. 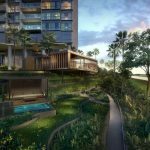 But Twin VEW condo is better located in that it is shielded from the AYE highway noise by Park Riviera and the next upcoming condo across West Coast Vale. 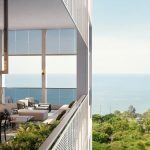 It is also mainly unblocked on the other two sides, as the south faces a school site, and to the south-east is a lower-density residential area. 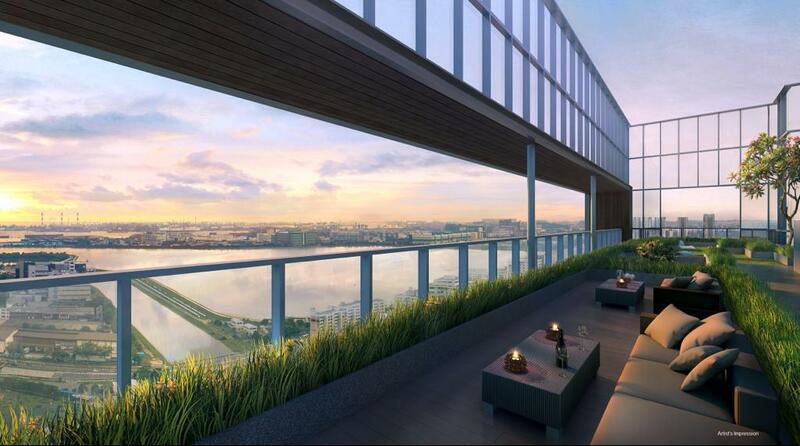 So looking south-west, units could get water views diagonally to Pandan Reservoir. 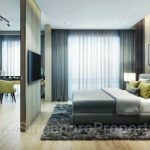 Twin VEW is not within walking distance to an MRT station currently, so it is priced accordingly. 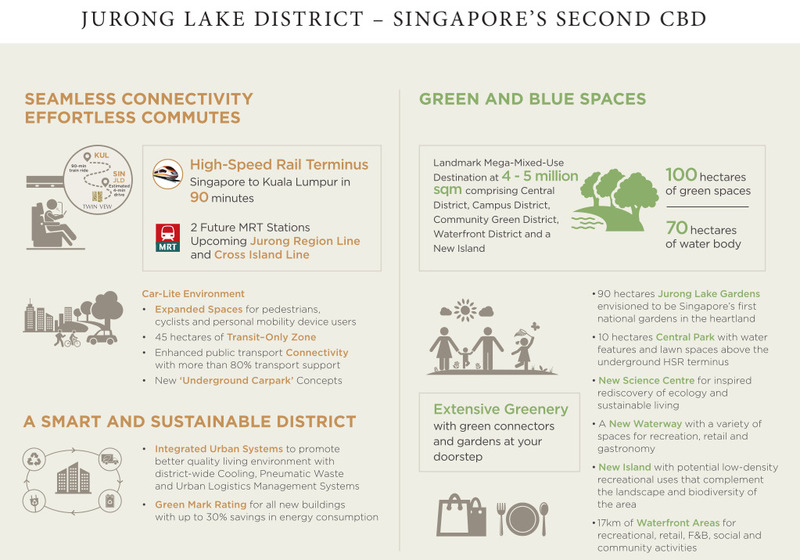 But the extension of Jurong Region Line to the West Coast area, that will connect to the Circle Line, has a good chance of bringing a nearer station by around 2025. 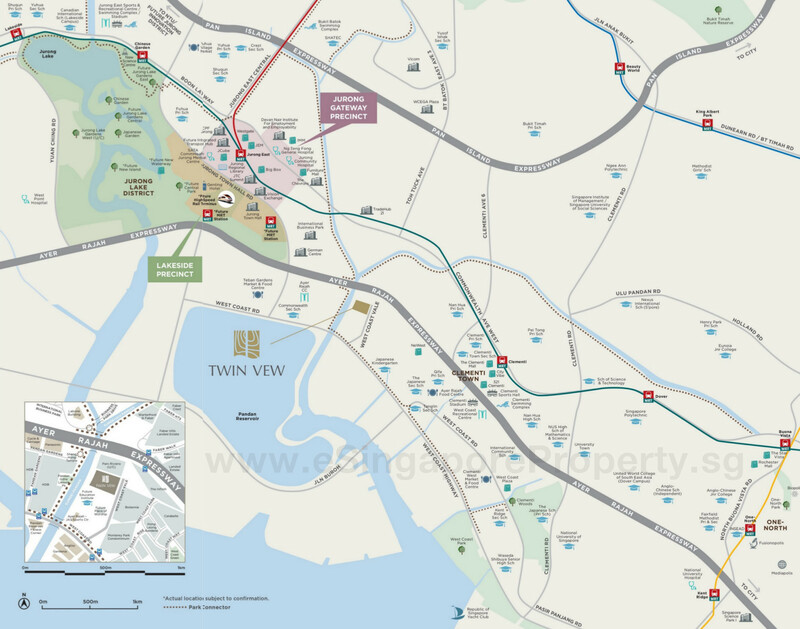 Twin VEW is located on the fringe of the Jurong Lake District, with its proposed plan for the High Speed Rail (HSR) Terminus between Singapore and Kuala Lumpur. 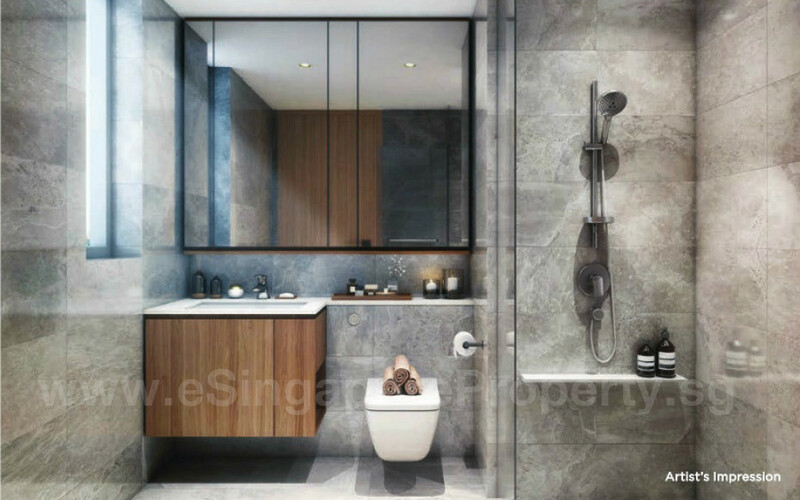 Here is what is envisaged at the 2nd CBD of Singapore. 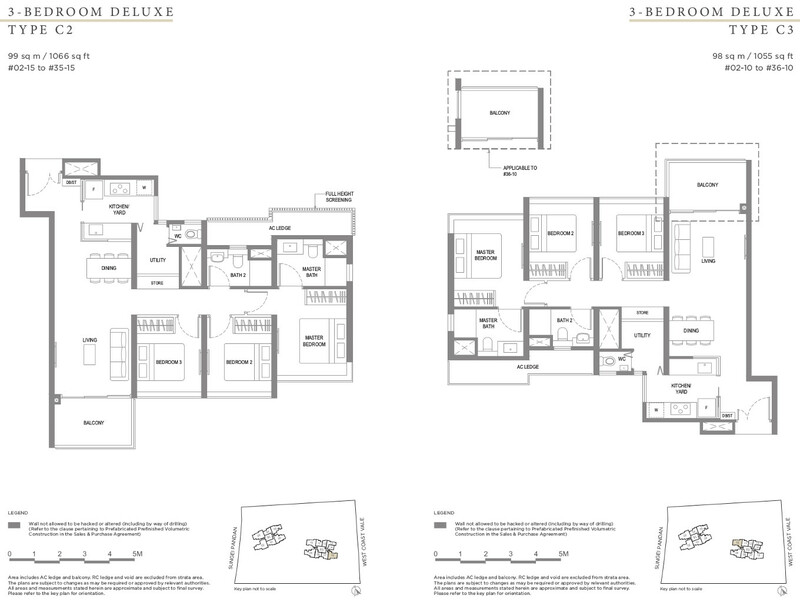 Kindly drop us a note in the Contact Form if you wish for the full set of Twin VEW floor plans to be emailed to you. 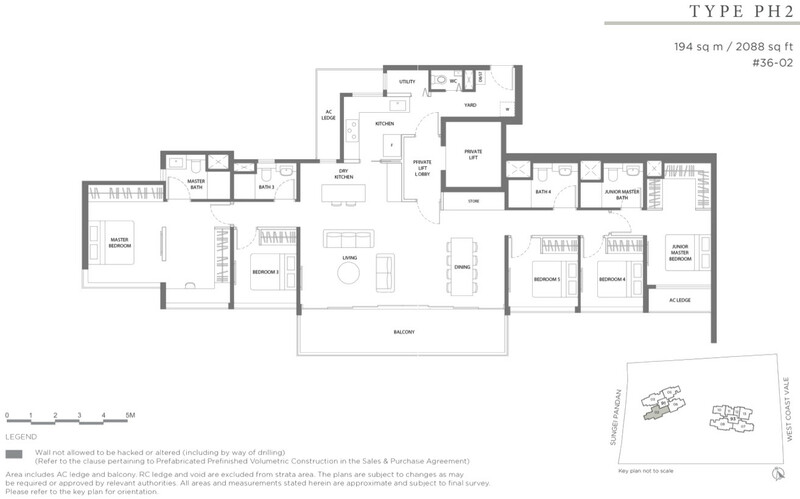 Floor areas are generally larger than for most new projects, with decent size bedrooms. 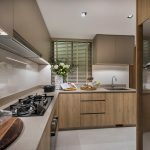 Ceiling height of 2.8m for main areas like living rooms and bedrooms; 2.4m for kitchens, corridors, bathrooms. 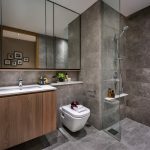 Matt porcelain tile floors in living / dining areas – nice. Solid natural oakwood timber floors in bedrooms. 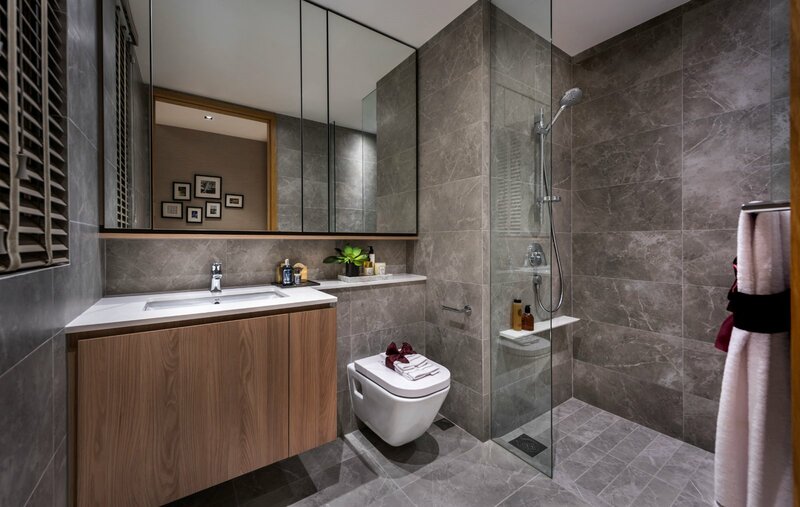 Fully appointed bathrooms with fittings from Hansgrohe, Roca, Geberit. Wall-hung WC. 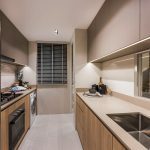 All white goods provided in kitchens – Bosch appliances and Franke fittings. Shelvings at dry kitchens also provided. And Quartz counter-top to kitchens! For maximising use of balcony space, there is an approved balcony screen you can install. 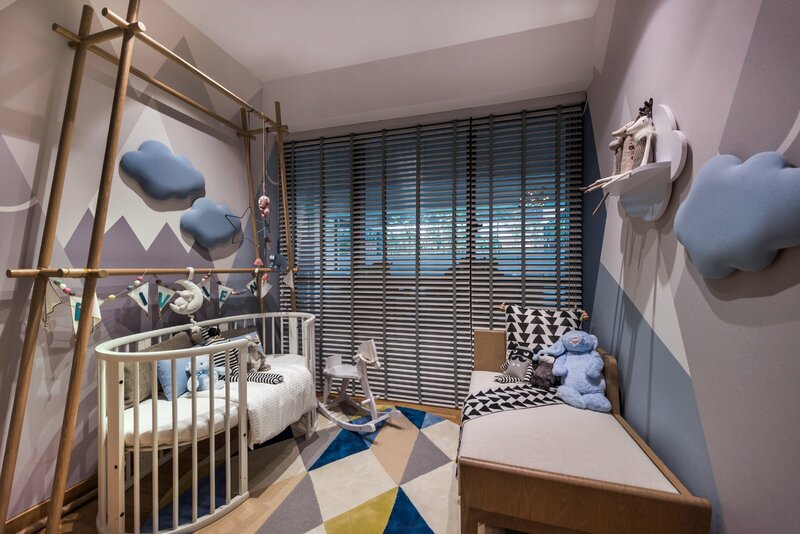 Rooms are pre-fabricated, which ensures better quality uniformly. Pneumatic waste collection at common area on each floor. 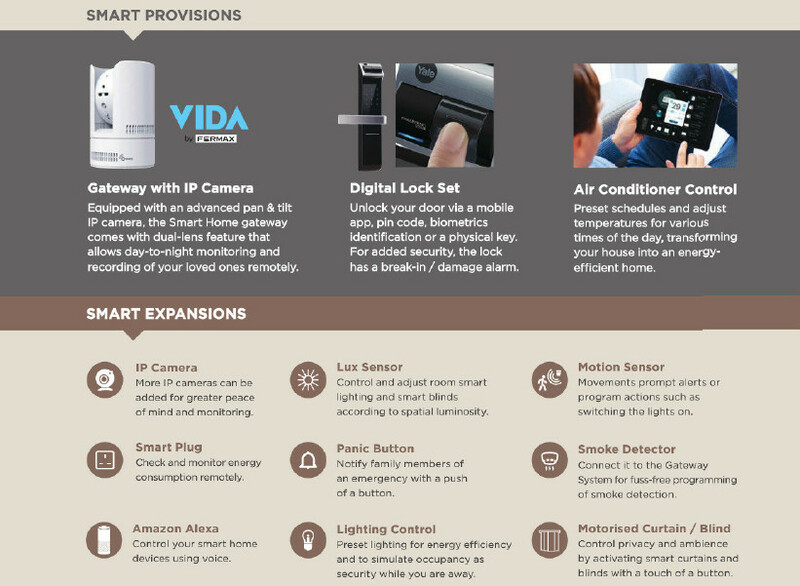 Fermaz Smart Home system. Digital lockset to main doors – by key or biometric or number. 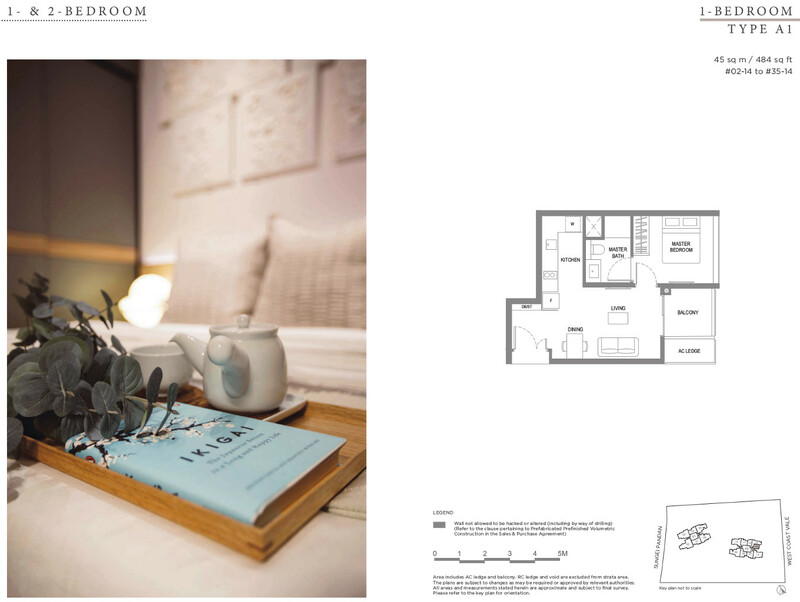 The Twin VEW site layout is beautifully crafted, drawing inspiration from nature. 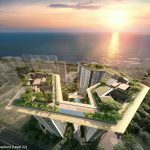 Its 2 towers are elevated on columns, such that the landscaping, pools and gardens sweep under the towers and through the entire site. 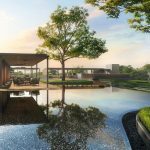 The site itself is tiered, sprinkling the facilities over 3 levels of cascading terraces that evoke the imagery of stepped paddy fields. The lowest terrace, the Interactive Zone where the kid’s playgrounds, trampoline pod, Riverfront dining villas & BBQ pavilions are, is already 5 metres, almost 2 storeys above road level. There are 5 side gates: 2 to the park connector, 3 to West Coast Vale. 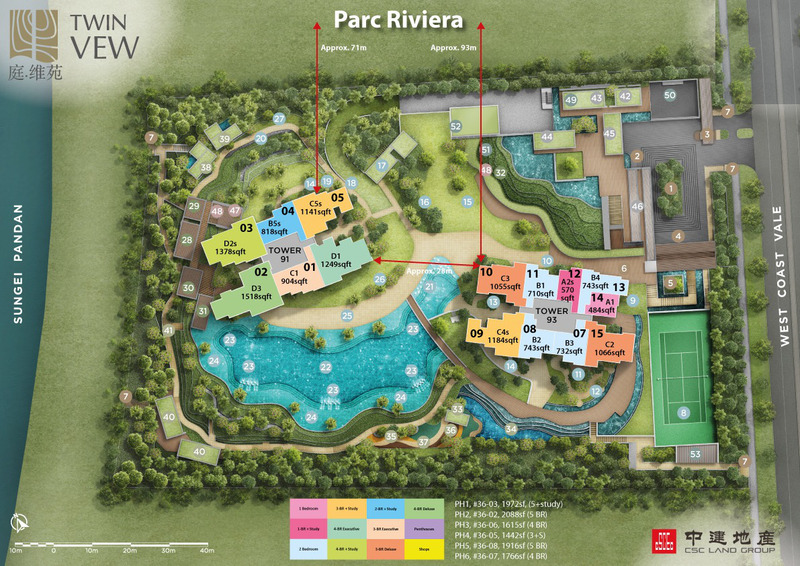 Above that, on the 2nd tier, is the Family Zone with the gardens, lounges, cabanas, 50m x 15m contoured pool. Then on the roof of the clubhouse, is the Executive Zone with its reading lounge and study alcove. Every spot on the site is beautified and used. 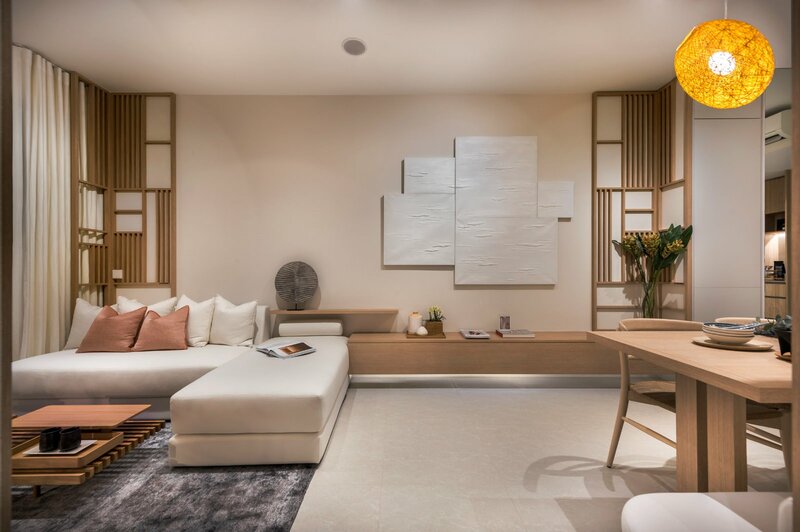 The 2 residential towers are carefully designed such that no unit directly faces another within the site. 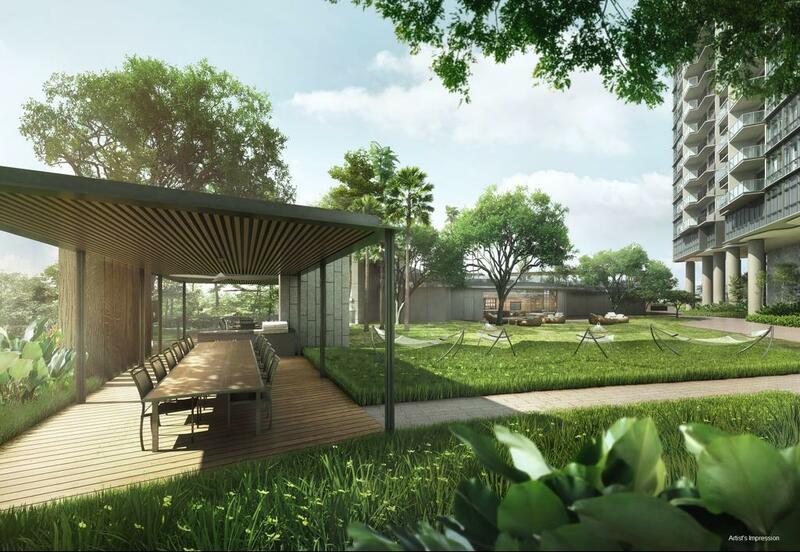 Instead, every unit has a view of gardens, landscaping and/or pools. 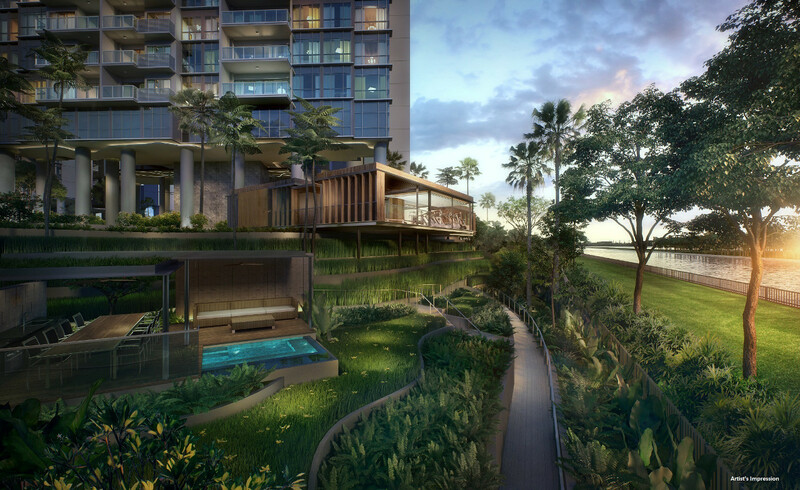 South-facing units get views of the contoured pool, and overlook the school site in front towards Pandan Reservoir at an angle. 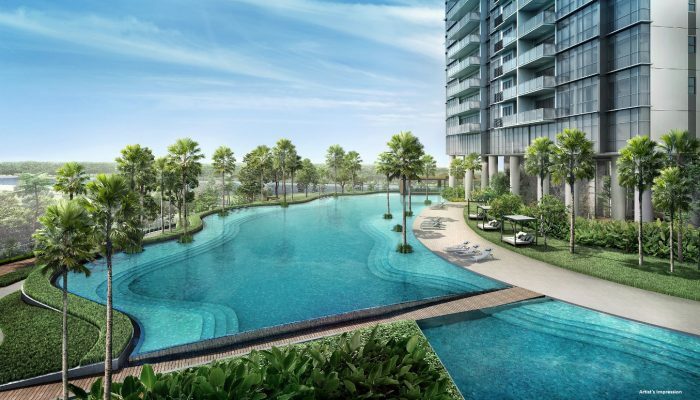 North-facing units get to “borrow” views of the pools and landscaping of Parc Riviera opposite, besides Twin VEW’s own gardens. 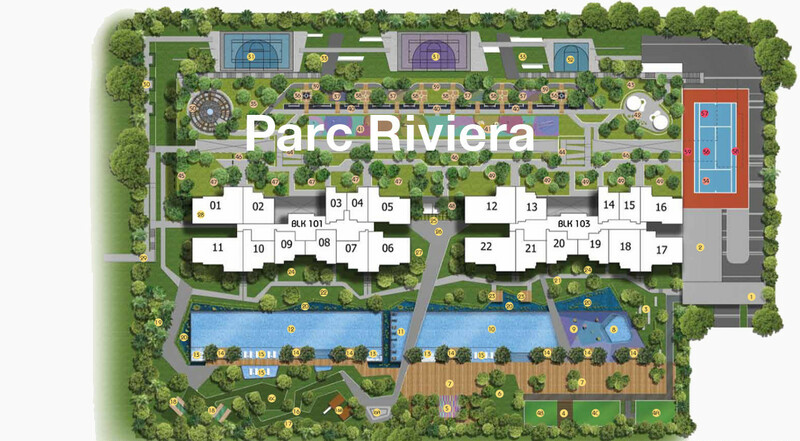 The distance from Tower 91 to Block 101 at Parc Riviera is about 71m, while from Tower 93 to Parc Riviera’s Block 103 is roughly 93m. 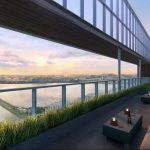 36 storeys high, at the top of the 2 towers on their southern fronts, are 2 Sky Terraces, to take advantage of the view to the reservoir. 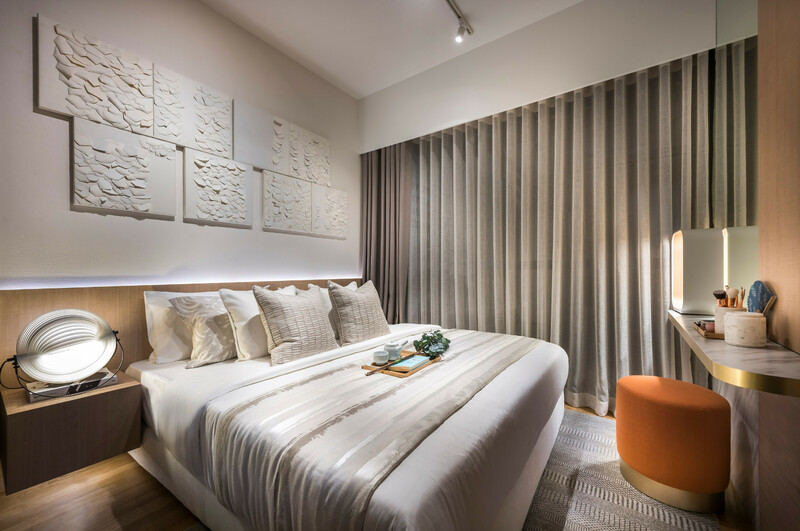 With quiet corners for chess, or dining, or simply lounging around, or star-gazing (as much as can be achieved in our light-polluted skies). 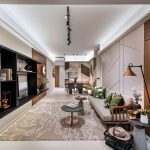 Another special feature of this Twin VEW condo is a grand entrance that greets the resident with an 8 metre high waterfall and a Foliage Drive. 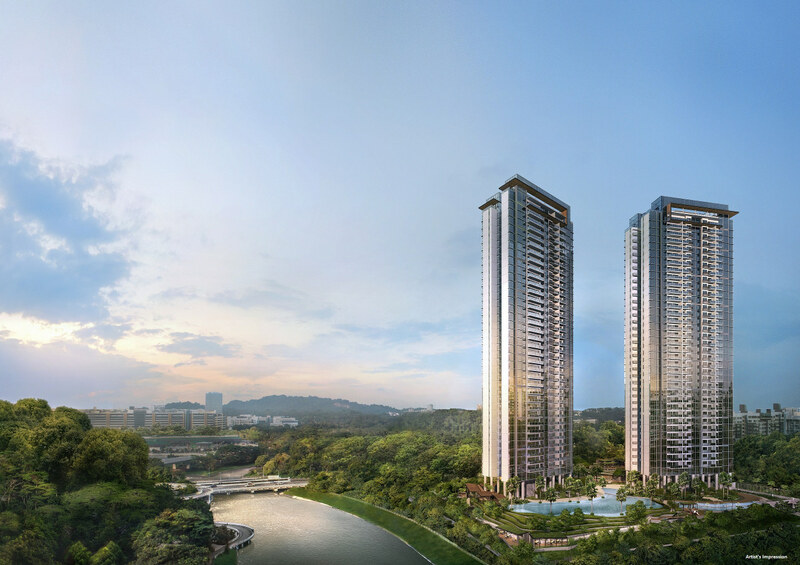 This impression of grandeur is accentuated by the residential towers – the lowest level, which is the 2nd floor is 15 metres, equivalent to more than 5 storeys, above road level. 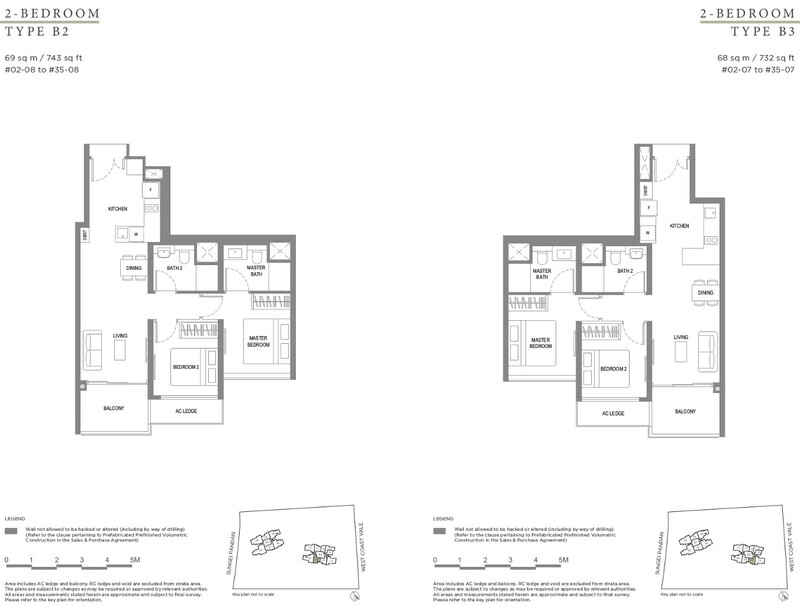 The Twin VEW showflat is now available for viewing appointments, before closing for the sales balloting exercise. 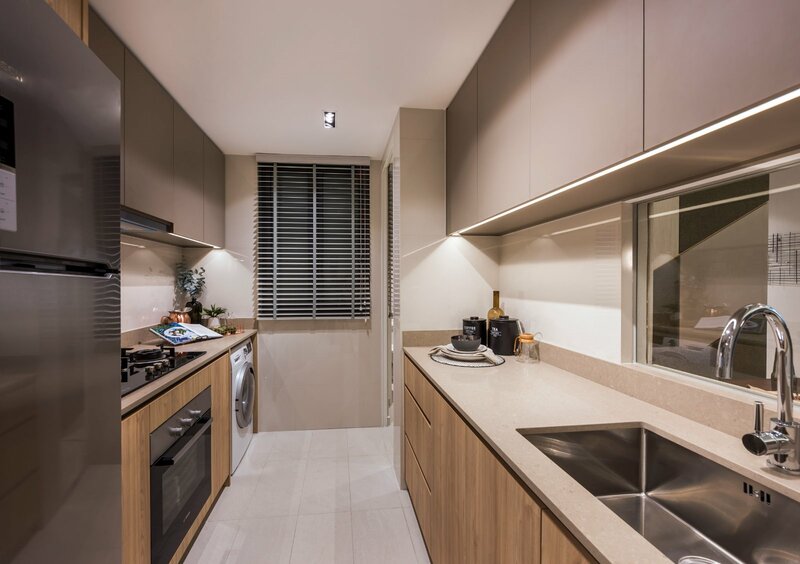 Please drop us a line below if you wish to view the Twin VEW showflat. Status as at 15 May 2018 – Twin VEW prices of remaining units as follows. Availability and prices subject to change. Please email us below for latest availability and pricing. 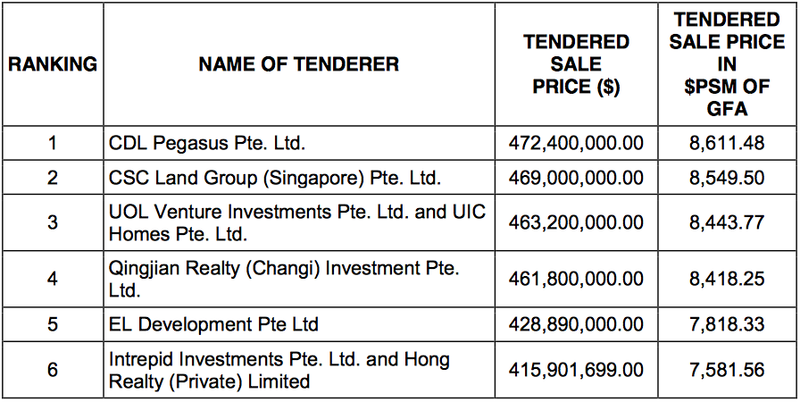 The land cost for Twin VEW was around $592 PSF (per square foot) PPR (per plot ratio), the top bid in the URA land tender for this site. 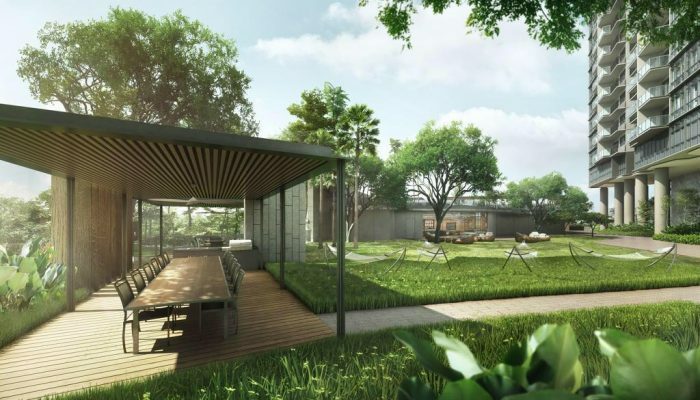 Subsequently the opposite site was launched for sale by URA too, and drew a top bid that jumped to $800 PSF PPR, which must inevitably translate into a higher selling price for the next development. This gives Twin VEW prices an advantage of at least $200 PSF. 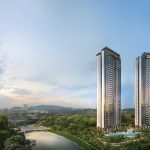 This is despite the Twin VEW condo having a river frontage and being away from the expressway, compared to the other site. 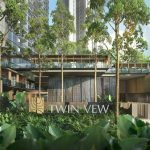 Twin VEW is being developed by CSC Land Group (Singapore), a property developer under the parentage of China State Construction Engineering Corporation (CSCEC). CSCEC is the world’s largest investment and construction conglomerate, ranking 24th out of the top Global Fortune 500 Enterprises. It occupies a global footprint, with business operations in over 100 countries such as the USA, United Kingdom, Hong Kong and Australia, besides China. CSCEC’s expertise spans property development, investment, engineering and construction. In 2017, its annual contract value was USD$362 billion. 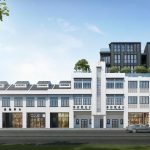 This rich heritage of quality and success has been extended to Singapore since 1992, in the form of China Construction Development Co Pte Ltd (CCDC), one of the most awarded A1 builders registered with the Building Construction Authority (BCA). To-date, CCDC has received 119 awards and accolades that testify to its commitment to quality workmanship. Twin VEW will be built by CCDC. 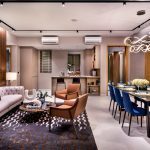 In Singapore, 1 in 25 people live in a home built by CCDC. 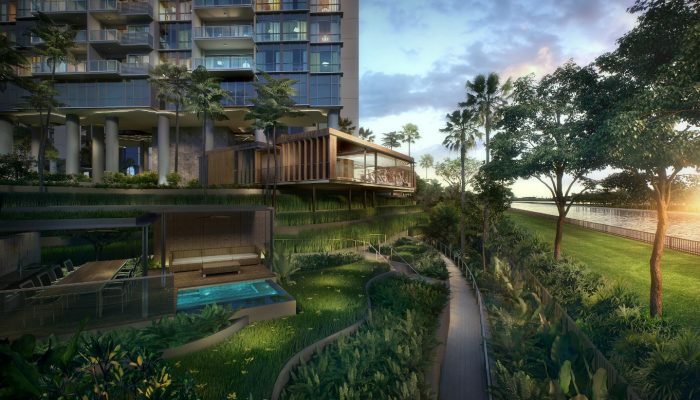 Among the many developments it has helped construct, are places like Soleil @ Sinaran, Duchess Residences, Azure @ Sentosa Cove, Cyan, Silversea, Boulevard Vue, and several HDB projects. 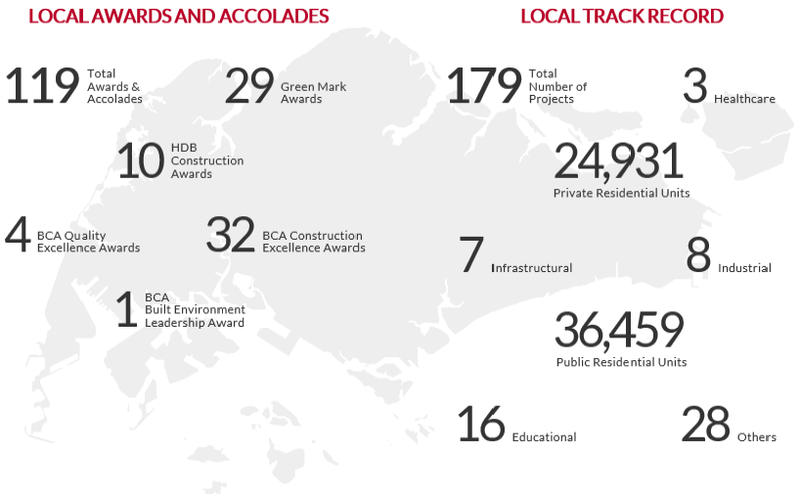 CCDC has also built institutions like the Republic Polytechnic, the DUKE-NUS Graduate Medical School, Raffles Institution, the Anglo-Chinese School @ Barker Road, and St Andrew’s Village; commercial projects like the Park Mall Redevelopment, OneKM, Oasia Hotel (Novena), HillV2, and Quincy Hotel; and infrastructure projects like the Kaki Bukit MRT Station, Canberra Station, and Keppel Station & Tunnel. 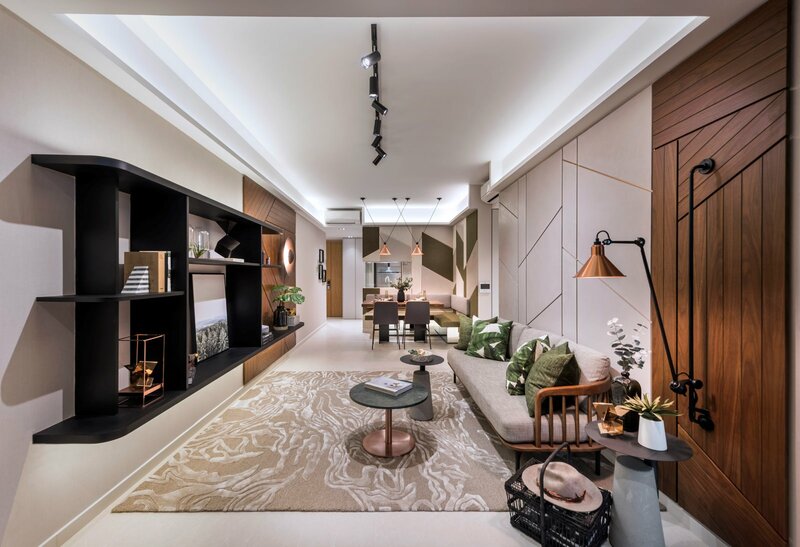 CSC Land Group, the development arm behind the Twin VEW condo, believes in crafting homes that are high on value, functionality, and balanced with good design in empathy with the needs and wants of its customers. 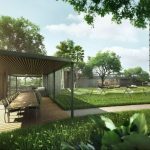 They also place emphasis on developing in a sustainable way that supports the environment. Location. 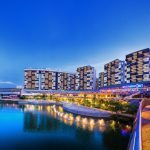 The Twin VEW location is close to the fringe of the Jurong Lake District (JLD). 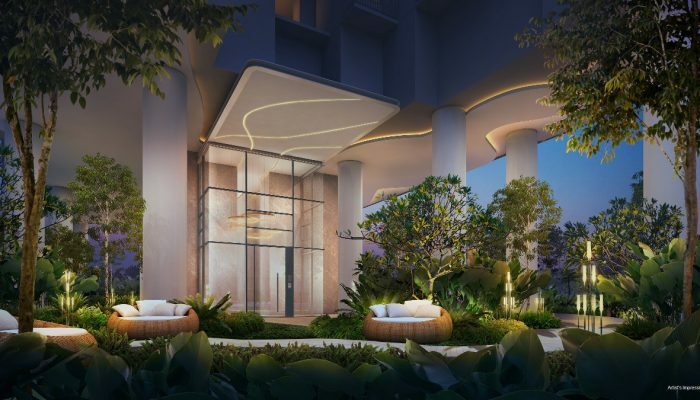 Under the URA Master Plan, this is being developed into a major business, residential, hotel and leisure hub, as Singapore’s 2nd Central Business District (CBD). High-Speed Rail Terminus. 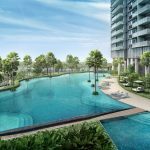 Locating the Singapore-Kuala Lumpur High Speed Rail (HSR) terminus in the JLD was a game-changer. 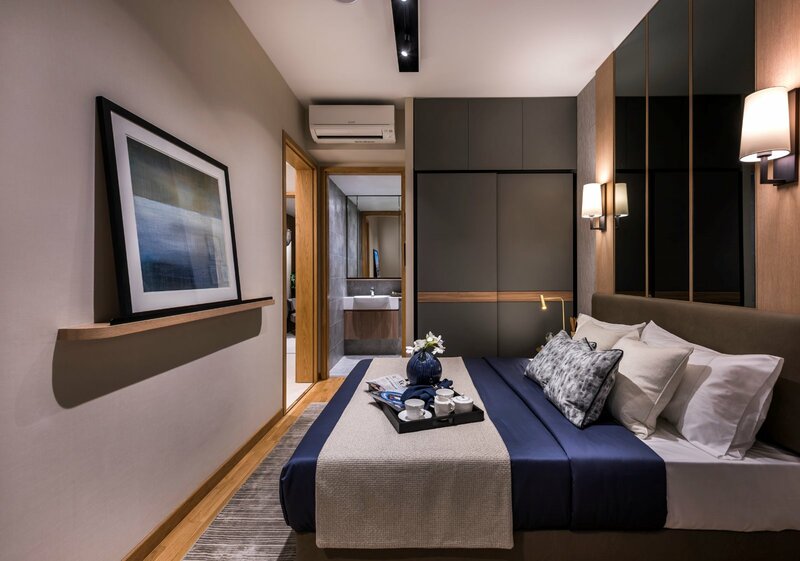 It will open new markets and opportunities in a metropolitan region of more than 10 million people, making this district a gateway for cross-border business and travel. With this potential to plug into regional growth opportunities, the JLD will be an attractive hub for regional businesses. Shops, Dining & Supermarkets. 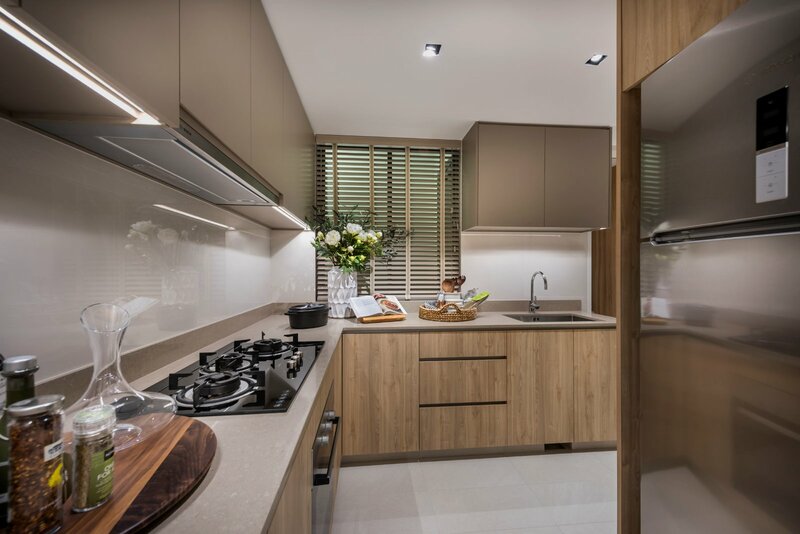 The Twin VEW location is in a private residential estate, and there are no shopping centres within easy walking distance. 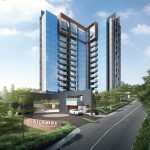 However there is a bus-stop 5 minutes walk away, along the AYE, with buses running to JGateway and its cluster of malls like JEM, JCube, BigBox, Westgate. Also to Clementi Mall in the other direction. 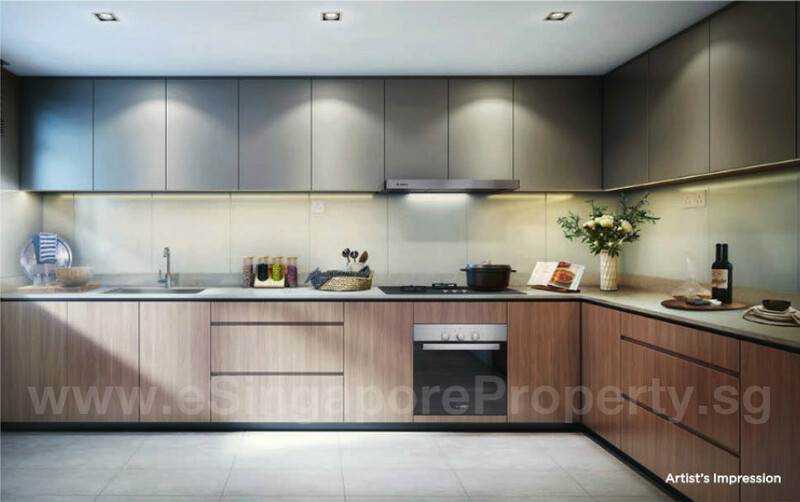 Slightly nearer are the Teban Gardens Road Market and Food Centre, and Ayer Rajah Food Centre. 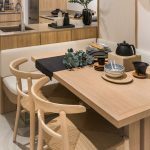 Healthcare is also comfortably at hand, at the Ng Teng Fong Hospital in the JLD. Nearest MRT Station. 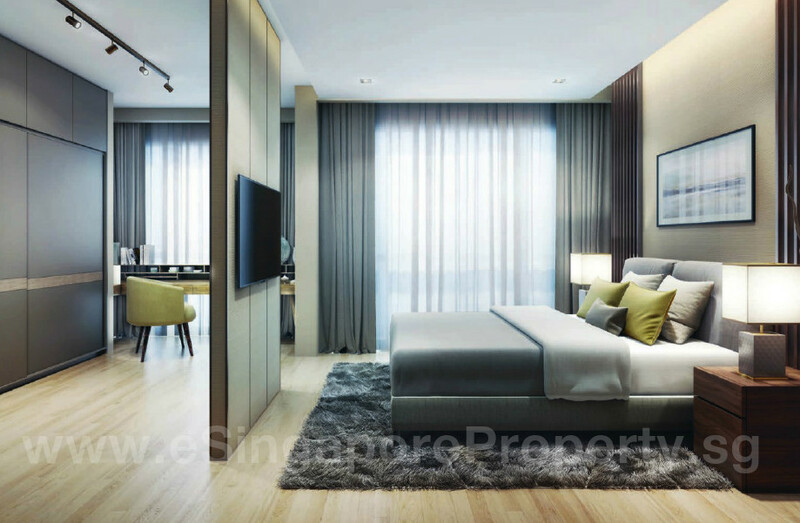 Similarly the Twin VEW condo location is not within walking distance of an MRT station. The Clementi station is about 28 minutes walk away, not a really feasible walk in our hot humid climate. Eventually there could be closer stations however – on the Cross Island Line cutting through West Coast in future, and on the Jurong Regional Line (see map above). Schools. 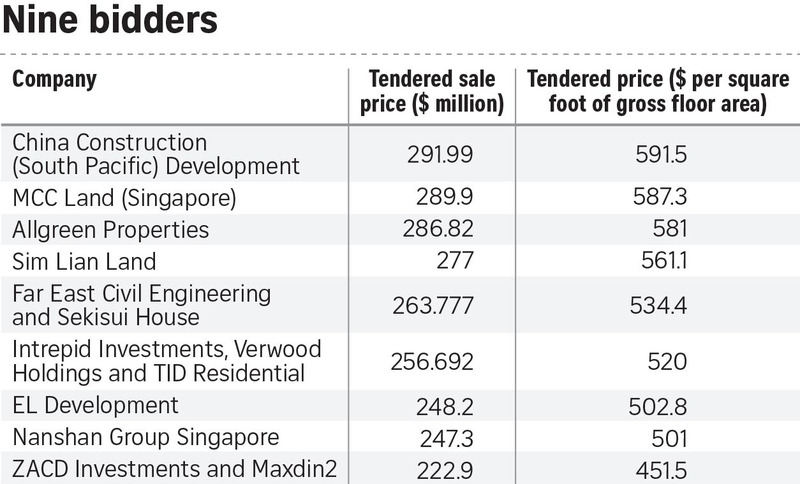 Primary schools in the vicinity include Qifa Primary (within 1km), Nan Hua Primary (within 2km), Pei Tong Primary (within 2km), and Clementi Primary (within 2km). The Twin VEW location is actually quite close to an educational cluster. Familiar names like National University of Singapore (NUS), NUS High School of Mathematics and Science, and Singapore Polytechnic. Also international schools like The Japanese Kindergarten, Primary and Secondary schools, the United World College of SEA (Dover campus), and the Canadian International School (Lakeside Campus). Accessibility. 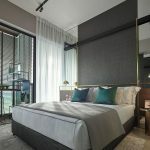 The Twin VEW condo location exits onto the West Coast Highway, a pleasant drive that flows smoothly on to the MCE via Keppel Viaduct, and so on to the KPE and ECP. 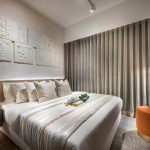 Via this route, off-peak it is about 30 minutes drive to Changi Airport. 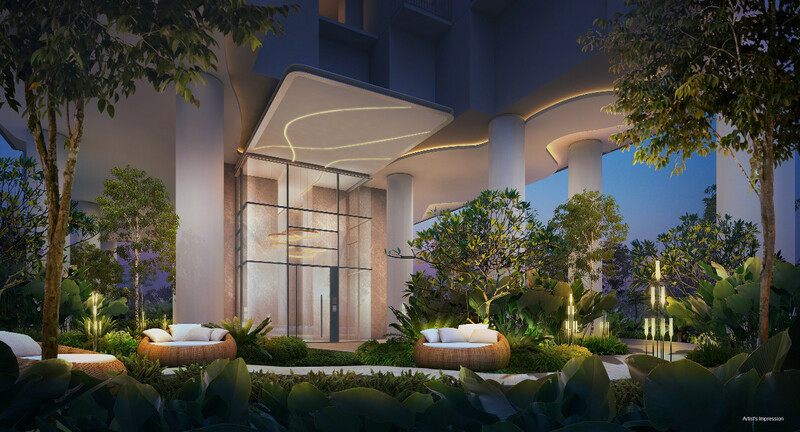 A 5 minute drive in the other direction will take you onto the AYE (Ayer Rajah Expressway), or onto Jurong Town Hall Road that leads to JGateway with its cluster of malls, banks, offices, leisure and healthcare facilities, and so on.